My Adobe Lightroom catalog has (as of today) 79,044 photos in it, and most of them I’ve never shared. Some of them are actually pretty decent. Others aren’t quite as good, but they remind me of places I’ve been and experiences I’ve had that I wouldn’t mind sharing with you, dear readers. I have spent a lot of time on Instagram recently. I’ve been looking at things that make me happy: beautiful photos of outdoor and travel scenes, art and vignettes from the people who make it, posts from biathletes, and random slices of life from friends. I have been occasionally posting a bit of the same on my stream . . . except for biathlon, which I’ve only done once. I’m going to try something. On some regular cadence, I will share something from my back catalog on Instagram. It should give me a chance to go through those 80,000-ish photos in small batches and give back to the site where I’ve seen so many wonderful things recently. I will post it here as well and possibly give a little bit of the story about the photograph or the trip I took where I made it . . . but only if it doesn’t get in the way of keeping up with actually posting the photo. 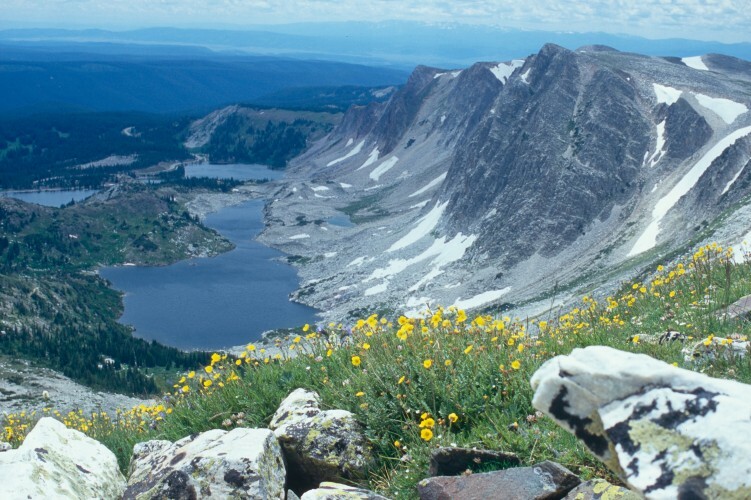 This first photo is from one of my favorite day hikes, the loop that ascends Medicine Bow Peak and then returns to the start via Lake Marie. I first did this hike with my best high school friend in 1994 after our first years away from Wyoming for college. I made this photo ten years later with Lisa, my mom, and her late husband. I like the view so much, I wouldn’t mind doing it again. This entry was posted in Hoarding, MetaBlogging, Photography, USA, Western Adventure. Bookmark the permalink.